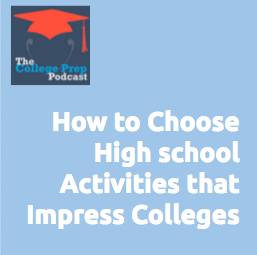 Every student wants to stand out on their college applications, but how do you choose activities that are aligned with your passions and not just trying to impress the colleges? Megan walks listeners through six tips for choosing high school activities that look great on your college resume and also help you live a vibrant, well-rounded life that sets you up for a great career. create a balanced sense of who you are and what you’re capable of.